High Tea Society had the chance to talk with Isabelle von Boch, an 8th generation descendant of the Villeroy & Boch tableware family on the eve of her visit to Australia. 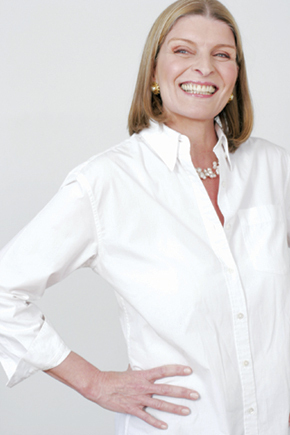 Isabelle is an ambassador for the European brand, which this year celebrates 265 years, Isabelle inherited her family’s passion for dinnerware and is an expert at pairing colours and patterns that complement each other. Villeroy & Boch was founded in 1748 by Isabelle von Boch’s ancestors as a tiny pottery in what is now the Lorraine region of France. Isabelle is proud of her heritage and happily shares family anecdotes that include links to van Gogh, the Vatican and Europe’s royal families. We asked Isabelle her tips for designing a high tea table setting at home. 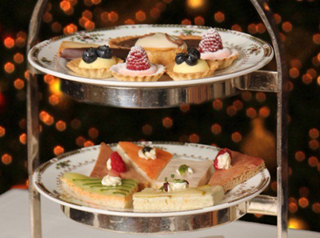 I love to bring high tea outside in the summer or by the fireplace in the winter. It takes the formality out of it. 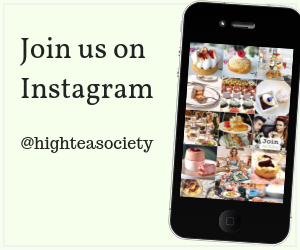 Since high tea is not so common in California, I want my guests to feel comfortable and not feel they have to adhere to certain rules. At the same time, I want them to feel special and create an ambience to remember. I keep the food very simple with fruits, cheeses and chocolates. I don’t make it a meal, I make it a time to create an atmosphere and connect with family and friends. My goal is to create an atmosphere where time stands still and you and your guests can escape the daily buzz. And all mobile phones are turned off! I always have flowers, unscented candles and table linens. My collection of table linens brings out different colours for different seasons, occasions or themes. Dress your table like you would dress yourself depending on the occasion. As for service accessories, I always bring out several teapots, a creamer and sugar on a tray, cups and saucers and I use salad plates for little bites. Of course, if you have a tiered serving tray, that is wonderful, but a random spread of varying platter shapes is fun and engaging to the eye. When, I want to go casual, I use my new Lina collection. 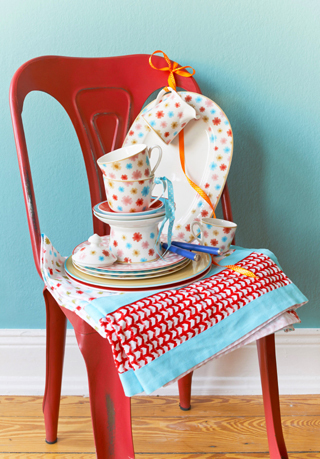 I layer it with bright blues, reds or beige in Lina’s coordinating linens, including napkins or tablecloths. Every time you change your colour in linens you change the look and feel of your table. The vintage character of Lina with the mix and match style allows you to bring in other pieces you might have collected over the years. It easily mixes with the Farmhouse Touch teapot, as well as other platters, plates or serving pieces. This creates a casual atmosphere, ease of conversation and relaxation. I own several teapots. Partly because my entire family drinks tea, but also because they are so beautiful and I love to put them on display, either on their own or with flowers. Investing in a teapot that you LOVE is always a good idea. Don’t worry so much that it is not an exact match to your entire set. Over time, you may find yourself owning several teapots and creamer sets and that’s the fun of it all, having these unique pieces that define your style. The feminine pattern, Mariefleur Gris, also makes a wonderful pattern for high tea. 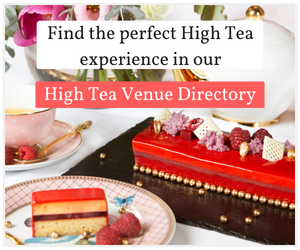 The floral design enhances the ladylike tradition of high tea, without being too fussy. I still like the idea of dressing nicely for the occasion and creating a stylish setting. Since this pattern is a bit more refined, I pair it with bone china pieces, like my Anmut teapot. The eclectic mix keeps things informal, but the overall feel is elegant and polished. I would again use some coloured table linens to accentuate the dinnerware. To me, the textiles like napkins and tablecloths are the wardrobe or clothes of my table so I collect different colours so my table doesn’t look the same every time I invite friends and relatives. I accent the table with flowers that tie in with the Mariefleur Gris pattern. 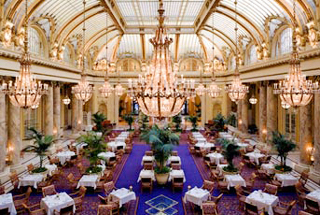 Isabelle von Boch’s favourite high tea venue is the Palace Hotel in San Francisco. It’s a lovely, magical experience. Although, I tend to not have so many formal rules in my home, it is nice to go somewhere and experience the true tradition of high tea.